The churchyard enjoys an astonishing profusion of snowdrops. 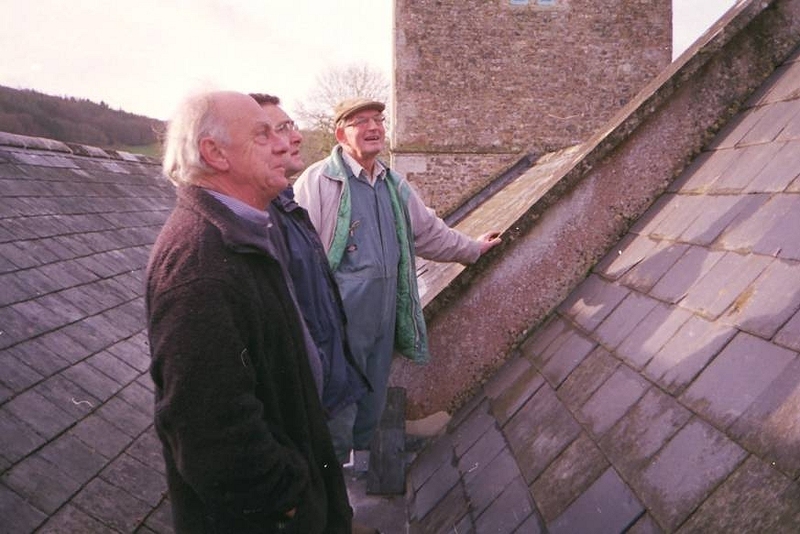 Inspecting the substantial repairs carried out in 2012. 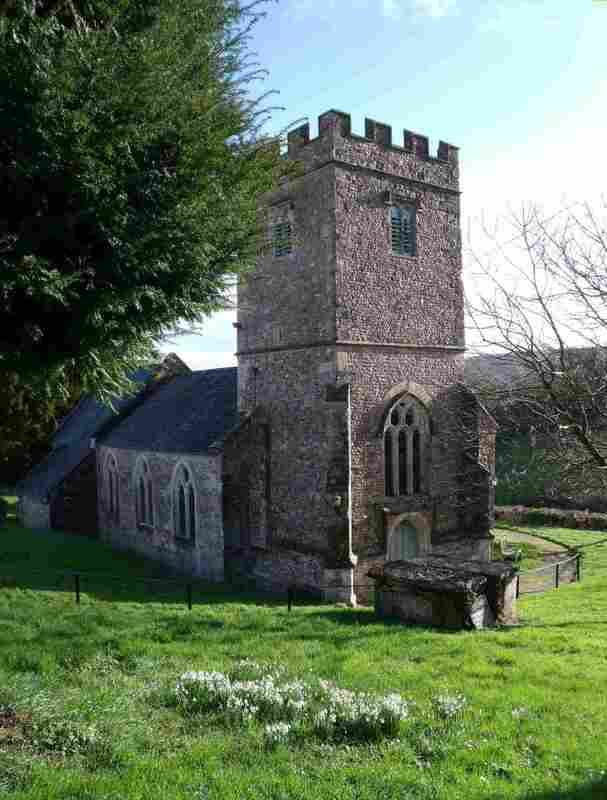 St Lawrence’s, the parish church of Southleigh, East Devon, is of Norman origin with a 15th century tower, but was mostly rebuilt in the 19th century. 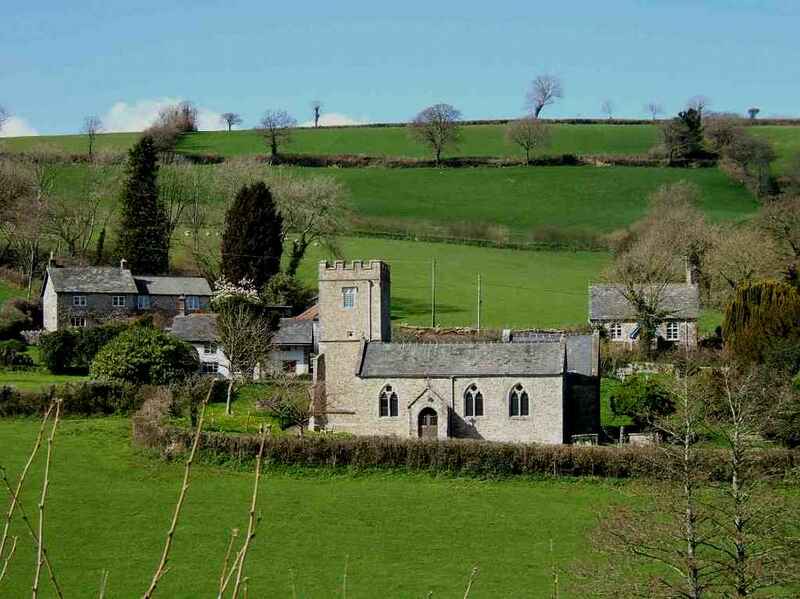 Restored in 1880, it consists of nave, south aisle, vestry and porch. The south entrance is a rebuilt Norman doorway. For those with an interest in history, Southleigh church boasts some very interesting features. The font dates from the early 12th century and we have a ring of four bells, listed in the inventory of 1553: “iiii bells yn the towre their”. 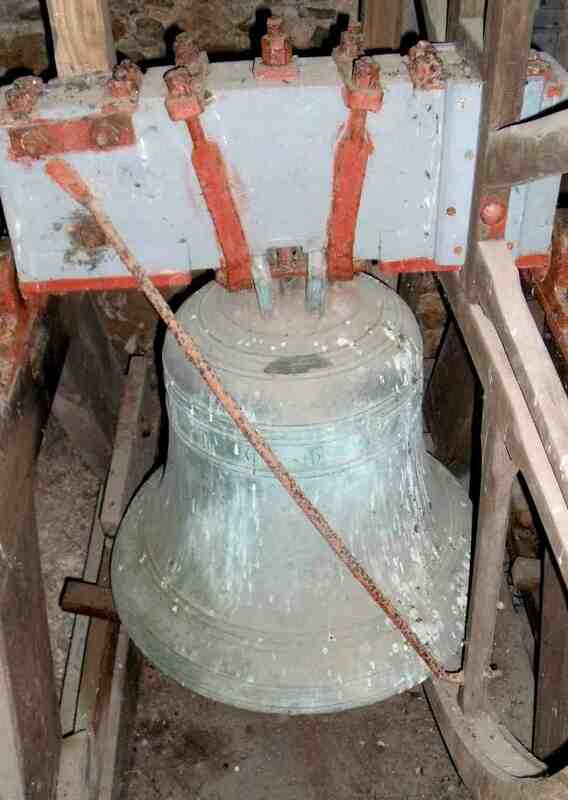 The treble bell is dated c. 1400. We also have a brass chandelier which is of special interest because of its fine workmanship and size. There are only fifteen Anglican churches in Devon where such chandeliers acquired in the period 1650-1850 have been retained. The prayer desk, choir stalls, lectern and pulpit are all 19th century oak; the pews are pine. 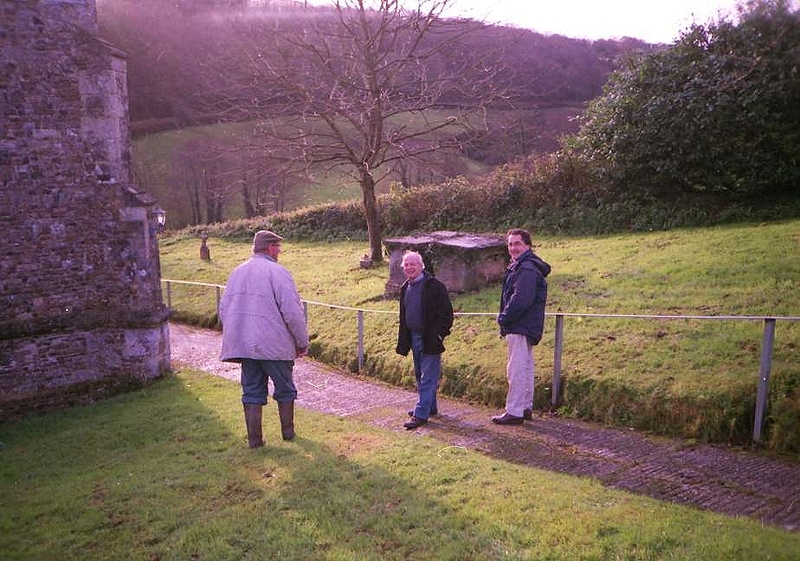 Four listed tombs in the churchyard are made of Beer stone ashlar dating from the 17th and 18th centuries. The Church is beautifully set on a hillside. 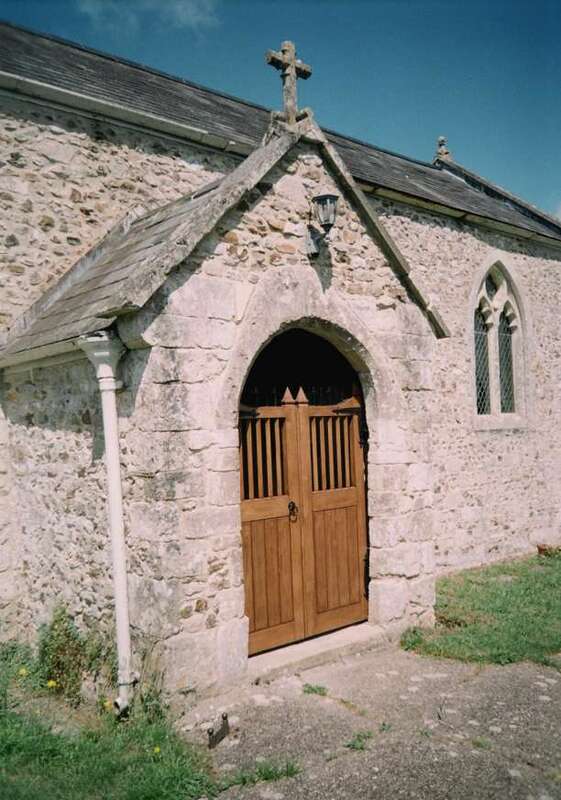 The new porch gates were made locally, and blessed on 1st August 2010.